When Washington, D.C. 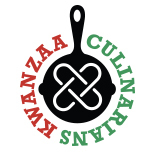 Chef Jawanza Zulu sees a recipe or watches a food show featuring chicken, beef, pork, duck or desserts, he imagines how the food, its flavors and textures, can be recast as tofu. Chef Zulu, owner of “Tofu Delights” catering, grew up watching tofu dishes being prepared by the women he knew: his mother, his grandmother, and the community women—the “mamas”—who were part of Shule ya Ujamaa (“School of Cooperative Economics” in the Kiswahili language). His parents were the school’s directors and the community included families who sent their children to Shule ya Ujamaa and who attended the food-filled family nights, dinners, and Kwanzaa events held there. His family hosted Dr. Maulana Karenga, creator of Kwanzaa, when he spoke at the school during the early years of Kwanzaa celebrations. Chef Zulu’s passion for healthy cooking began in 1990 when he was a student at Morehouse College in Atlanta. He ran a successful special-occasion catering business for couples and families, but that concept didn’t catch on when he returned home to Washington, D.C. After nearly a decade as a school security chief (while catering his tofu dishes on the side), Chef Zulu began applying the principle of Kuumba (creativity) to guide his career trajectory. He is working on obtaining a food truck for “Tofu Delights” and taking his spicy-sweet, tender-crispy creations to the streets. He wants to thrill palates and make true believers out of tofu newcomers. “People who say they don’t like tofu don’t know how to prepare it properly,” Chef Zulu said. Transforming a block of soy curd into crispy morsels that look and taste like fish or into tender strips that taste like beef takes skill, a deep understanding of the ingredient, and inexhaustible creativity. “I’ve made and served tofu every way: fried, baked, boiled, grilled, and by infusing it in desserts. Anything you can do with meat you can make with tofu,” he added. His signature dish, tofu egg rolls with honey mustard sauce, is a customer favorite along with jerk tofu, barbecue tofu kabobs, tofu sushi, and cheesecake made with creamed tofu and fruit, and much more. Currently, Chef Zulu provides healthy lunches for three schools, sells his dishes at local farmers markets and festivals throughout Washington, D.C. and Baltimore, and takes call-in orders. He is steadfast about his food-truck aspirations. From research and experience, he knows which communities in the Washington D.C. area are trending toward healthier diets; he has written a detailed business plan and is courting investors. When asked if he considers himself an artisan food producer, Chef Zulu pondered a bit and then agreed wholeheartedly. “My whole thought process is what I can do that’s new.” He wants to change minds about tofu—a high-protein, low-fat, low-cholesterol food–without skimping on taste. His wife, Fatima, and his sons and daughters support Chef Zulu and often are catering alongside him to further the family dream and exemplifying, always, Kuumba. Alaiyo Kiasi-Barnes is a Maryland food blogger whose blog, Pescetarian Journal, focuses on sustainable seafood and vegetarian fare. Follow her on Twitter. This is an amazing story. I really enjoy tofu though it is something that I’ve grown into since it is not part of my Polish-American/Italian-American family traditions. I’d really like to try some of Chef Zulu’s tofu delights. I feel certain that this is an idea that would gain a lot of traction in the San Francisco Bay Area. Perhaps if the food truck takes off in Washington, he can develop a West Coast branch? This entry was posted on December 31, 2011 by Bren Herrera in 2011, business, Interview, Kuumba and tagged Alaiyo Kiasi-Barnes, Chef Jawanza Zulu, Kuumba, Pescetarian Journal, tofu, Tofu Delights.